ST. PAUL — Amy Klobuchar has put together an extreme and uncompromising record on abortion during her 12 years in the U.S. Senate, according to Minnesota Citizens Concerned for Life (MCCL), the state’s largest pro-life organization. 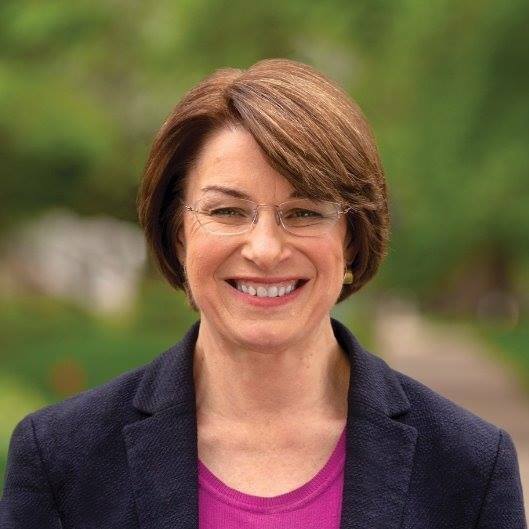 Klobuchar announced yesterday that she is running for president of the United States. Klobuchar has never voted for a pro-life bill or for a restriction on abortion, no matter how modest, earning a zero percent pro-life voting record (zero pro-life votes out of 36 chances), according to National Right to Life. Klobuchar voted for taxpayer funding of elective abortions and taxpayer funding of the abortion industry. She voted to fund groups overseas that perform or promote abortions. And she voted against protection for unborn children after 20 weeks (and thus in favor of abortion in the sixth month and later), when unborn children can feel pain as they are dismembered and killed through abortion. Polls consistently show that Americans disagree with Klobuchar’s extreme position. A 2018 Gallup poll found only 28 percent of Americans think abortion should be generally legal in the second trimester of pregnancy, and only 13 percent think it should be generally legal in the third trimester. A 2019 Marist poll determined that, even among Klobuchar’s fellow Democrats, a majority of 60 percent think abortion should be limited to the first trimester or to rare cases, or not permitted at all.